The day dawned overcast with a threat of rain. I didn’t mind this too much as I have not yet had the opportunity to enjoy the much vaunted “rains of Africa”. However it was not to be. The morning stayed hazy but by midday the sun was out in all of its African glory. 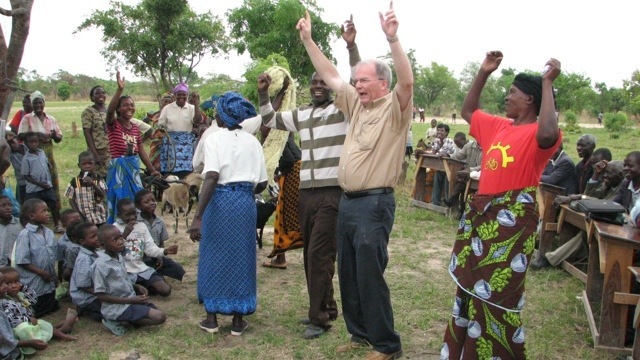 My current African “posse” – Pastor Ted, Pastor Pat and Rita Prins from WOW/Visionledd – and I headed out to the Chibanga community this morning – about 25km outside of the town of Kabwe. 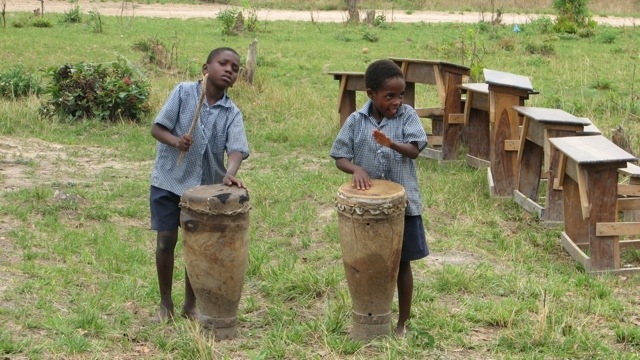 There we were met on our entrance into the village by women and children singing and drumming alongside the road. We well and truly felt welcomed! 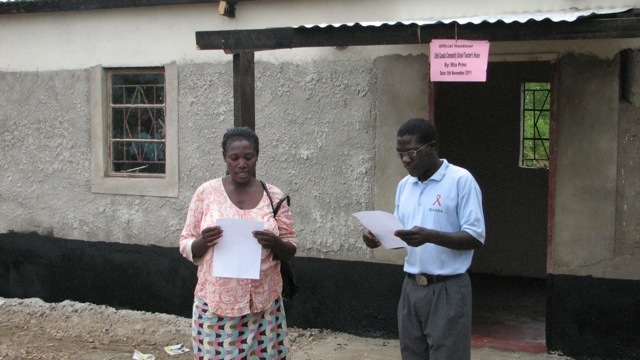 The first order of business was a presentation to the community school teacher of a new 3 room cement home that has been built for her and her 7 children. While it may have been modest by our standards, her joy at having a solid place of her own, with a door, windows and a metal roof, was clear for all to see. What a joy and a privilege to be able to be a part of something like this! Next on the agenda was the presentation of 12 goats to a group of local widows. 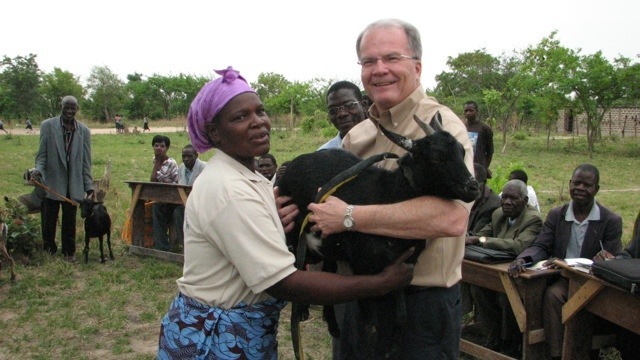 The programme they have developed sees local widows presented with a goat. 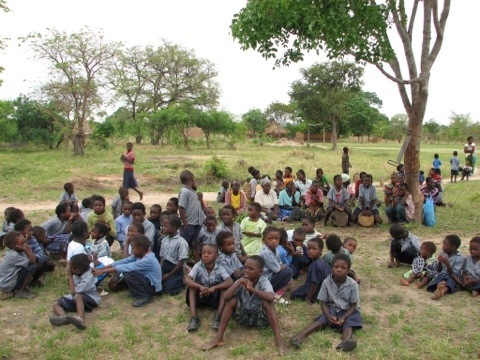 When the goat eventually has a kid, the kid is brought back to the community to be presented to another widow, thus providing for local sustainability of the programme. 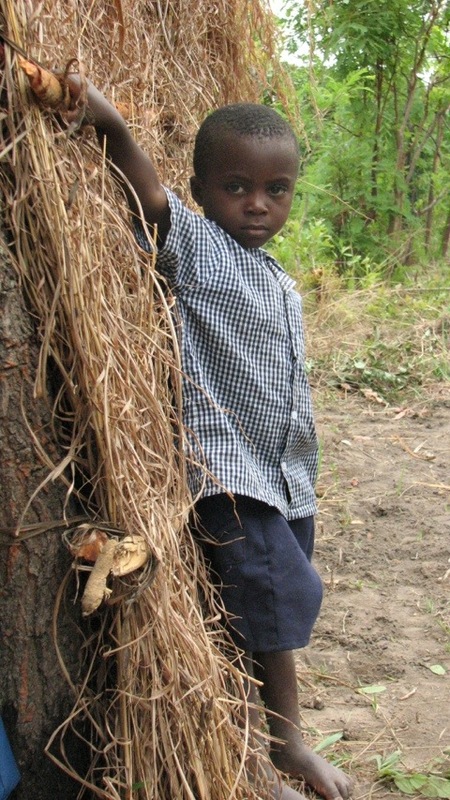 Any further kids can be kept by the widow, enabling her to sell them to support herself and her children. 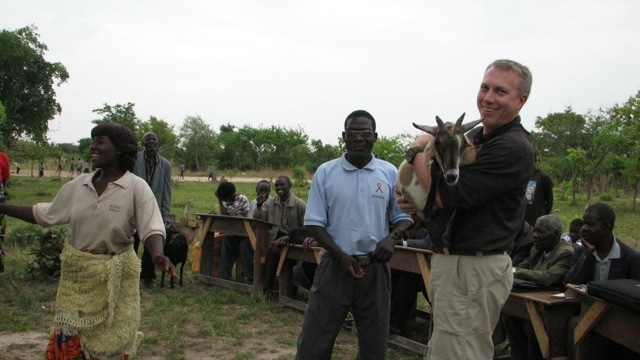 Here we were given the great honour of being able to present a few of the goats to the widows who were receiving them. Again, the joy was obvious. The singing and dancing went on for some time! 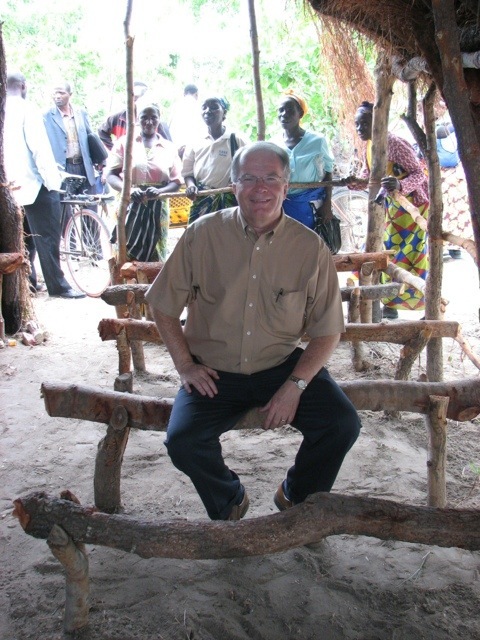 Finally, we met in the local church – a grass sided thatched hut – for a celebration service with the community leaders, including the lady chief. Here we all brought greetings and Pastor Ted and Pastor Pat “tag team” preached. 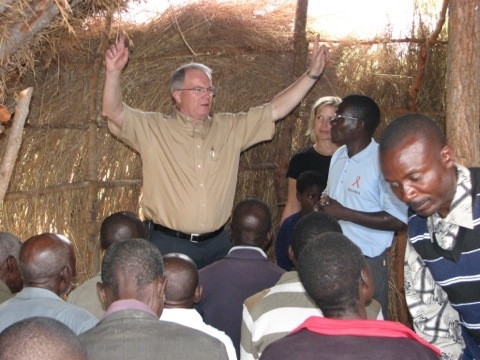 The presence of God was thick and tangible that afternoon inside a thatched “cathedral” in the African bush. 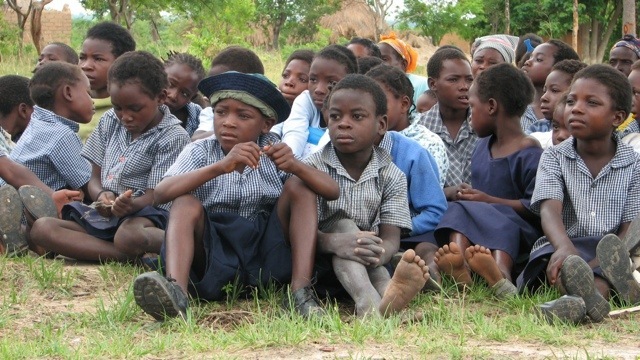 We drove back to Kabwe town in the afternoon for a meeting with local church leaders in Pastor Eric Mwembelo’s church. Here again the “dynamic duo” joined forces to deliver an amazing word from God that left all present with the unmistakable knowledge that God was there among them. I am so thankful that I have the opportunity to meet these people and witness just a small piece of what God is doing here. Needs are being met. Lives are being healed. Life is being poured into lifeless situations. The light is overcoming the darkness. And the vast majority of it is being accomplished by local believers who have a clear and unshakeable sense that they are the ones who, through their own obedience, are seeing it accomplished. Please continue to pray that we would remain safe and would complete everything God has set out for us. I feel humbled everyday by what I see around me. But more and more each day my prayer is that I remain true and obedient tool in the hands of a loving God.